Today, 1.7 billion women in low- and middle-income countries still do not own mobile phones, and the gap between men and women’s uses of the Internet has grown steadily over the past three years. This digital gender divide is reinforcing existing socioeconomic gaps between women and men. On International Women’s Day 2018, USAID convened many of our U.S. Government colleagues who are working to empower women globally, including Advisor to the President Ivanka Trump. We had a fruitful discussion on the importance of closing the digital gender divide, and I had the pleasure of officially opening the call-for-solutions for USAID’s newest initiative aimed at bridging this gap: the WomenConnect Challenge. During the meeting, three digital entrepreneurs who are already working with USAID to increase the number of women, who participate in the promise of the internet, shared their perspectives on the digital gender divide. I found their stories inspiring and wanted to share them. Their innovative businesses are examples of the types of divide-closing solutions we are looking for in the WomenConnect Challenge. I encourage you to read their profiles below, get inspired and submit your solution today. Because I’m connected, I can learn and support other women to learn. In2015, Ana María Martínez was working as Procter & Gamble’s marketing director for Perú, Chile and Colombia. She was thriving in the role, and was quickly climbing the corporate ladder. While the role was fulfilling, her passion was for brands with significant social impact, and she wanted to try a more-entrepreneurial role. She joined Laboratoria as partner and chief operating officer one year after its founding. 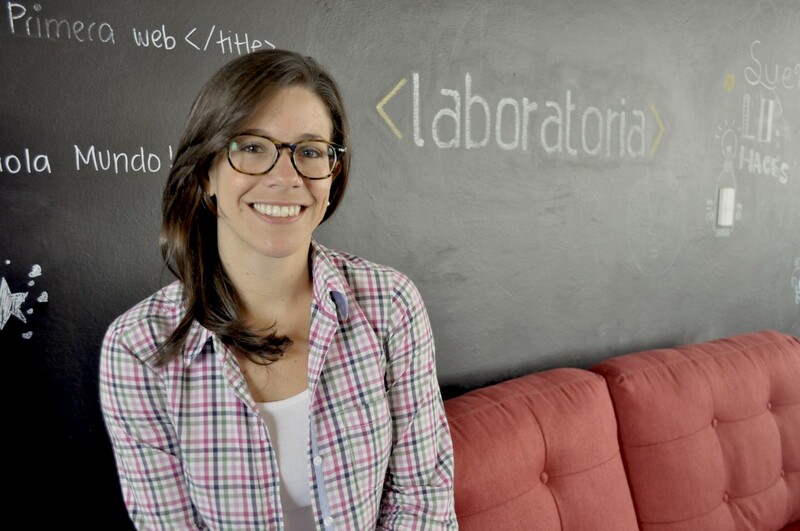 Laboratoria is a start-up social enterprise that works to build a more competitive and inclusive technology sector in Latin America. Early on, the founders, who previously ran a tech agency, found it almost impossible to find local female technical and coding talent; there were not enough trained developers and programmers to build their business, much less the sector. After creating a training program to identify and train women coders for their own business, they realized other businesses had the same challenge. The team at Laboratoria also recognized that millions of young women in Latin America cannot afford higher education, which leaves so much talent untapped. Laboratoria’s training program identifies promising young women, teaches them web development and UX design in a six-month boot camp, and helps them find jobs with the world’s top companies. In 2016, Laboratoria won the USAID Innovation into Action Challenge, which allowed the organization to expand operations to four countries in Latin America: Perú, Chile, México and Brazil. In three years, more than 580 students have graduated from Laboratoria, and their job-placement rate is greater than 80 percent. The result is women who transform their lives and those of their families are changing the face of an entire industry. 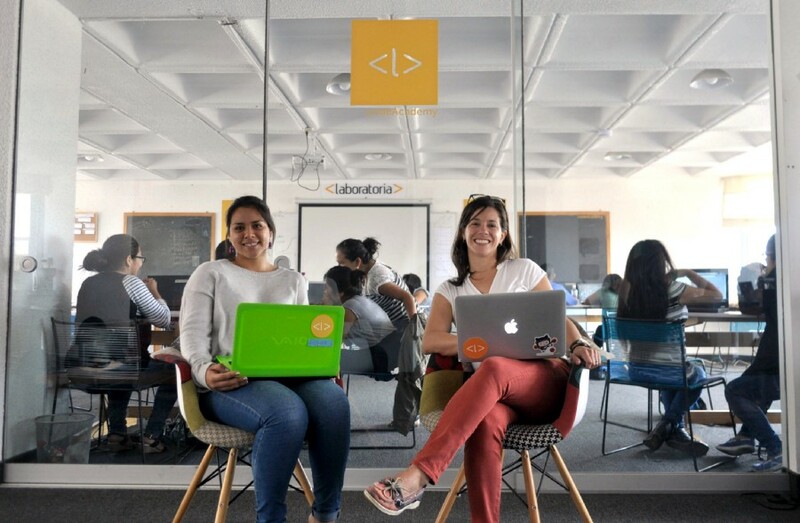 Over the next few years, Laboratoria aims to train over 5,000 young Latin American women, and to become the leading source of female tech talent in Latin America. Because I am connected, I can have the power to transform lives in my hands. Growing up in India, Neha Misra saw first-hand the importance of connectivity for women’s health, security, and prosperity. Early in her career, she had an opportunity to assess the impact of a women-driven solar-entrepreneurship initiative in a remote, beyond-the-grid community in the Sundarban Islands in the Bay of Bengal. There, a woman shared how her first access to modern electricity through a solar light was crucial to give her a new-found sense of personal safety in the tropical islands, where reliable light protects against snake bites in the dark. Neha realized the profound ripple effect of women’s trust networks to build out strong clean-energy chains to reach the most-underserved last-mile customers. 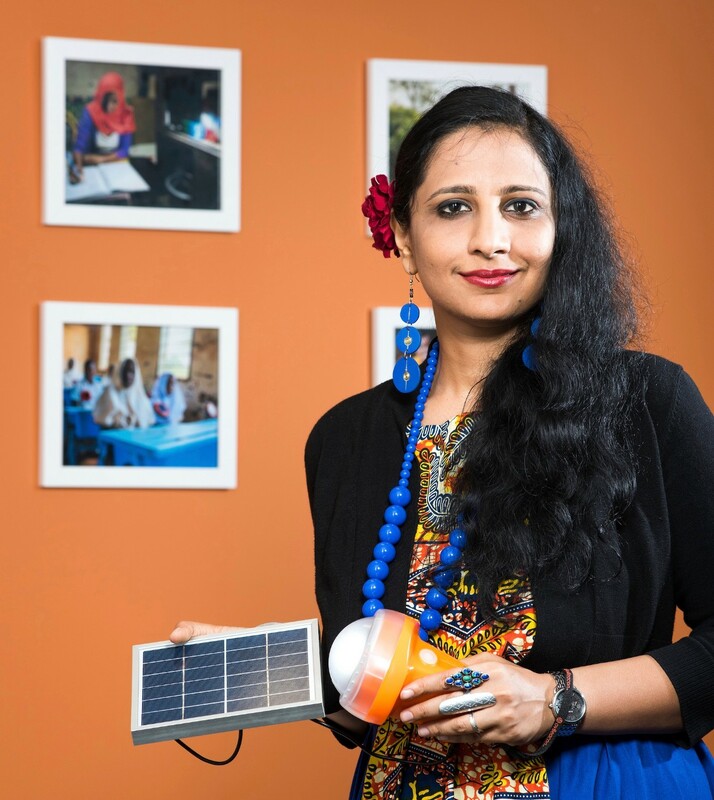 Her company, Solar Sister, trains women “clean techpreneurs” to provide world-class solar connectivity, lighting and clean-cooking solutions. In addition, the organization provides ongoing business, technology and leadership mentoring, and has created a powerful community of women entrepreneurs to share ideas and best practices. USAID invested in Solar Sister to scale the program’s original pilot program. At the time, 10 women in Uganda were part of the program. 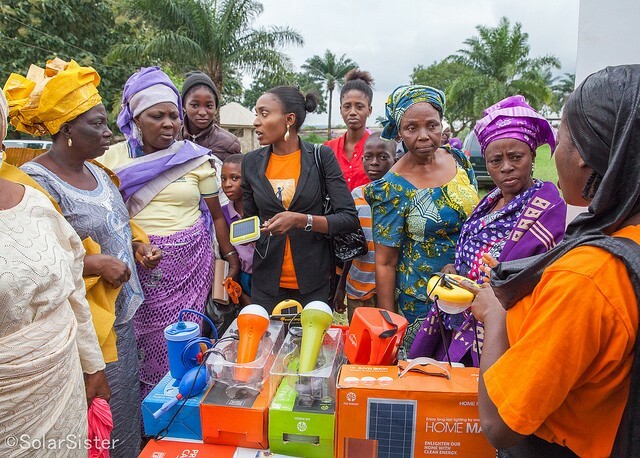 Today, Solar Sister has a network of over 3,000 entrepreneurs who have reached over a million people across Nigeria, Tanzania, and Uganda, and inspired women-centered models across Latin America, Africa and Asia. Access to energy transforms lives and communities with light, hope and opportunity. Neha points to one elderly customer’s story in particular. Though she had a mobile phone, she lived in a rural community without power, and had to walk two hours to the nearest town to charge it. As a Type-1 diabetic, it was critical to her health and security to be able to call for medical help, if she needed it. After purchasing a Solar Sister solar energy solution, she can now charge her phone at home, and feels more secure. Because I am connected I can create tailored digital platforms for women. Esther Karwera is an energetic, 25-year-old entrepreneur from Uganda. She is the founder and chief business development officer at Akorion Company Limited, a technology company that serves smallholder farmers. She also develops and manages a science, technology, engineering and math (STEM) camp for young girls, finding ways to integrate smallholder farmers across Uganda into the country’s agriculture industry. 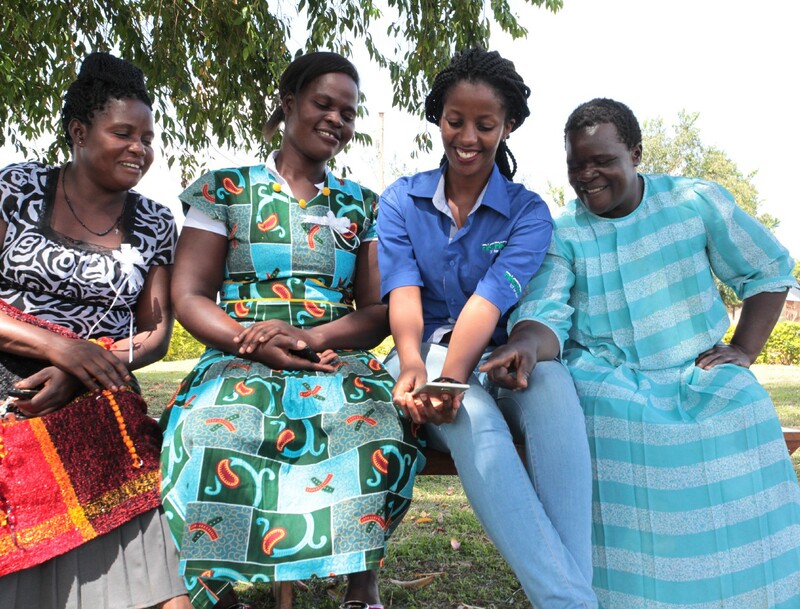 During a 2014 event hosted by USAID’s Feed the Future initiative, Esther and four young entrepreneurs with existing tech companies realized that their apps complemented each other, and that together they could create a game-changing company. Akorion aims to improve the livelihoods of smallholder farmers by reducing the costs of transactions and increasing efficiency along the agricultural value chain through technology-based solutions. With USAID’s support, Akorion created a smartphone-based system that can readily deliver agricultural services to farmers. Akorion has reached nearly 30,000 farmers, and developed a network of 470 village agents and 100 farmer associations to support farmers’ needs. The company aims to reach more than 400,000 farmers through 2,000 tech-savvy youth village agents, and to digitally profile 244,000 farmers so they can access finance. On top of building her business, Esther founded a camp in 2016 to teach girls about entrepreneurship, healthy life choices, leadership and skills for the STEM sectors. During the camp, the girls developed ESY-TRANS, a new app that helps farmers in Uganda transport their goods to market. Over the next 10 years, Esther hopes to create jobs for over 10,000 youth in the agriculture value chain, and for young girls in computer-related fields across Africa. About the Author: Mark Green is the Administrator of USAID. Follow him on Twitter @USAIDMarkGreen.